Conjugated Linoleic Acid is a general term for a mixture of conjugated dienoic isomers of linoleic acid (C18:2 n-6). Several positional isomers can be distinguished. However, the two predominant isomers are c9, trans 11 and trans 10, c12. CLA is present as a natural compound in meat and dairy products. 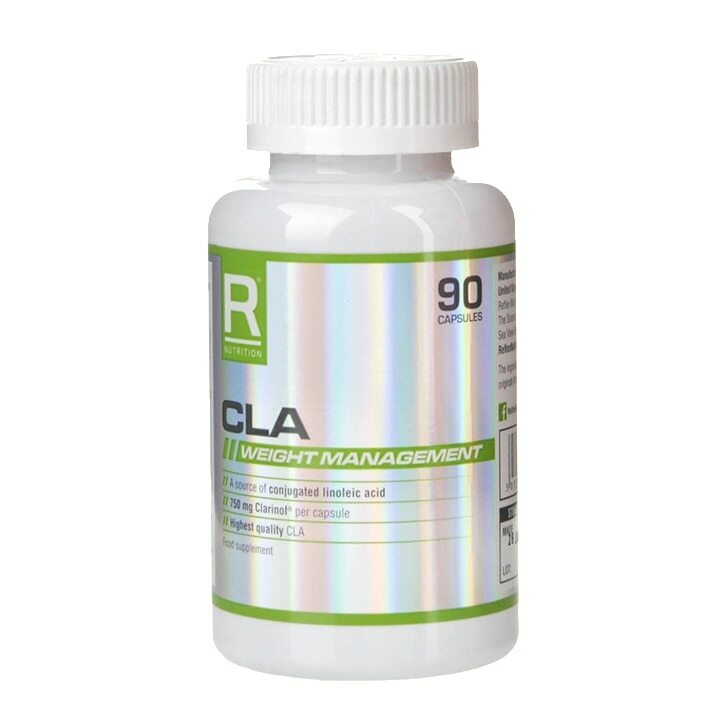 CLA is a food supplement traditionally used for weight management. In a soft Gelatin* Capsules: Clarinol Conjugated Linoleic Acid, Mixed Natural Tocopherols, Capsules shell composed of Gelatin* and Glycerine. *Not suitable for vegetarians. Reflex CLA 750mg Capsules is rated 5.0 out of 5 by 1.